Customer bonds may be an alternative way to fund your business if you have a loyal customer base and don't want to borrow from a bank. If you’re an entrepreneur looking to fund your latest venture, you might want to consider customer bonds. These are becoming an increasingly popular option instead of mainstream funding sources like banks, for both start-ups and established businesses. 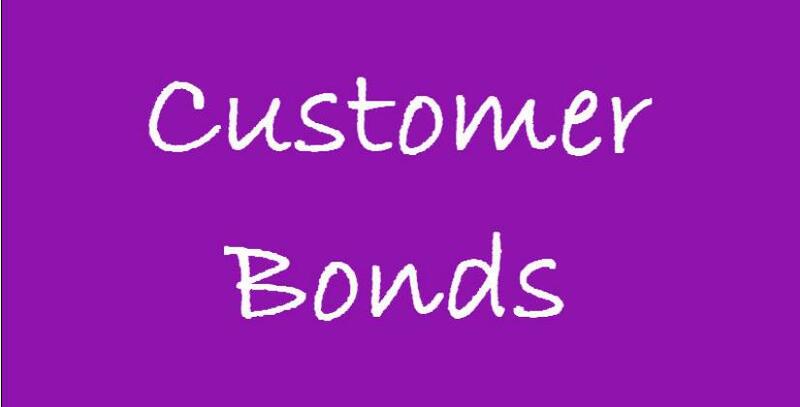 What is a customer bond? Customer bonds essentially involve your firm issuing a savings bond that people - most likely your customers - invest in for a set period of time. The bonds are non-transferrable and cannot be converted, but in return for their investment, at the end of the fixed period, you repay the bond in full, plus interest. This gives savers a way to earn interest on their money - at a higher rate than they currently would through bank savings. From a business point of view, it allows you to raise finance without going near a bank. Also, you don't have to provide the interest as cash - you can offer your products or services instead, or credit towards future purchases, increasing customer retention. Customer bonds are certainly not right for everyone and, in many cases, it would probably be much easier to simply secure a bank loan. But they can be a positive way of engaging customers and raising the profile of your brand, as well as raising the money you need for a particular project. This type of business funding has famously been used by well-known brands including Hotel Chocolat and King of Shaves. Customer bonds work best for companies that have a loyal base of followers who are likely to want to invest in their brand, for example food or drinks businesses. If you are a brand-new start-up business, you are likely to be seen as a risk, unless you have the goodwill of a previous business success or are a well-connected entrepreneur. Make the bonds affordable and for a set amount of money that is likely to be affordable for your customers. Asking for too much will seriously limit the number of potential investors so it is a good idea to sell the customer bond for between £1,000 and £5,000. Investors may also be discouraged if it takes them too long to get their money back, so borrow the money for less than five years to make the prospect more appealing. People will be more likely to give you money if they know exactly what you will spend it on, e.g. is it to expand your business or invest in upgrading your equipment? This is particularly true if you have customers who feel really passionately about supporting your brand. Make it clear exactly what customers will receive from you when they have a bond. Some companies offer a certain percentage interest on the bonds, but if money is tight then you could offer products or services instead. For example, Hotel Chocolat gave those who bought their chocolate bond a monthly tasting box of their products. Whatever you do, keep your customers informed, so they feel they are taking an active part in the growth of your business and can see how you are progressing. You will need professional legal advice to draw up the bond agreement and make sure it is all above board. And remember you will need to keep your end of the bargain, so do not promise things unless you know your business is in a strong enough position to deliver them. Are banks now more willing to lend?